Zero Pwnage: The End of Portable Gaming? The End of Portable Gaming? “The Playstation Vita could be in trouble.” These are literally the headlines posted on Yahoo, IGN, and Gamespot last week at one time or another in those exact words. The reason is because the Vita in it’s first week sold a mere 321,000 units in it’s first week in Japan. It didn’t do much better in it’s second week selling only around 90,000. With such mundane sales figures there are already rumors flying around about a price drop even before its had a chance to come to U.S. shores. Sony has yet to comment at all on the sluggish sales of the system. To me this begs the question; is this the beginning of the end to the era of “Handheld gaming” in the form that we know it? 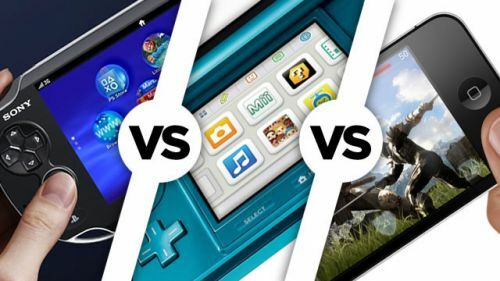 We’ve all heard it that cell phone games are becoming the new way of gaming on the go, but now that both the 3DS and Vita have had weak opening sales figures, could it be the final nail in the coffin for this type of gaming platforming? Only four months after the debut of the 3DS was available on the market it’s priced was slashed to $169 from $250. Sales improved but you still don’t see the mass amount of them flying off the shelves as you did from the DSi. The PSP who always played second fiddle to the Nintendo powerhouse and let’s not even mention the atrocity that was the PSP Go. Now that Vita has finally hit the market in Japan will it suffer the same fate as the 3DS did? Sony decided to price Vita at $250, which in the economy these days is nuts. Especially considering that most of the people buying these units are their parents for their kids. Blockbuster games like Uncharted are $50 while other titles are ten dollars cheaper. It’s just hard to fathom who over at Sony is behind these pricing and thinks that they are a good idea. Alone on the price of the unit plus games the average parent will look at the price sticker before really considering what each has to offer, let alone really care. Nowadays cellphones are becoming so much more advanced with each passing year they quickly becoming real competition for handheld gaming. Everything from simple touch games to ones with digital joysticks. With games being on average from .99 cents to $9.99 on average it makes it even harder to justify these pricier games on these portable systems. Sure you can’t get your big blockbuster hit games but there’s definitely room for that in the future. Why can’t companies like EA, Nintendo, Ubisoft and the rest make it so I can download the latest Mario game or Uncharted right to my smart phone and have it use an intuitive control scheme. I know what your thinking, “Not all games should be converted to touch screen controls.” Your right about that. Although a third party connective device would allow for physical buttons and joysticks to be added. 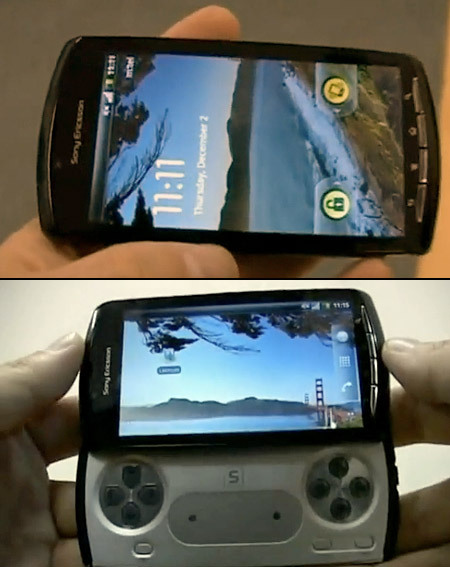 The Playstation Xperia had something going for it. This could all just be simple speculation just like the death of PC gaming that has been said over the last few years as home consoles are able to do more and more with each generation. In my opinion if Sony and Nintendo want to keep competing 5 or even 10 years from now price needs to become a major selling factor since tablet’s and phones are quickly becoming the main source for gaming on the go. I can honestly say that I couldn't name a current hand-held device outside of the Nintendo DS line, and my DSi collection right now consists of a measly 3 games, which is a far reach from the 60+ games that I have for both my phone and tablet. I have never even heard of the Vita until this post. Nice piece...I'd add that the Vita will use exclusive memory cards that run from $20 all the way up to the ridiculous $100, and are NOT optional. They really didn't learn a goddamn thing from the launch PS3 prices did they? Also the 3DS seems to be on the mend...just read today that it surpassed 4 million units and is selling faster than the Wii did in the same amount of time. 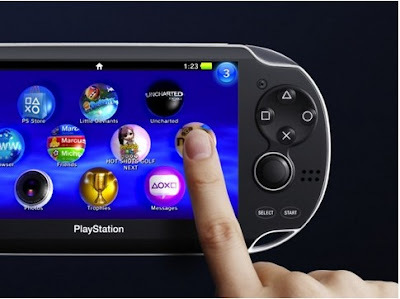 I think it exemplifies that handhelds need some sort of killer, exclusive feature that will keep people playing until the next one comes out...the Vita has it's back touchscreen but I don't see any new features about it. Sony just fixed what people wanted with the PSP, slapped a touchscreen on it and started wringing their hands over how much to charge for the peripherals. I'm just going to give a couple of my thoughts here. First of all, I personally don't think the $250 launch price is bad at all. I was expecting $300 to $400(PSP launched at $299), and some people were thinking even closer to $500. My biggest issue is the memory card issue. An 8gb card will cost $120. You will not see me buying that, it's a good thing the package will include a memory card. I haven't decided if I'm going to get a Vita or not yet, the price of the games are $10 too high in my opinion. Excluding the memory card price issues, I think Sony did good with the $250 price point. One thing that I had forgotten to mention was about the memory cards with the Vita. Not only are they required but they are proprietary so a 32GB one is $100. If you plan on downloading games which is a BIG feature with that device it raises the overall price to right around $400 before you've even bought your first game after tax.